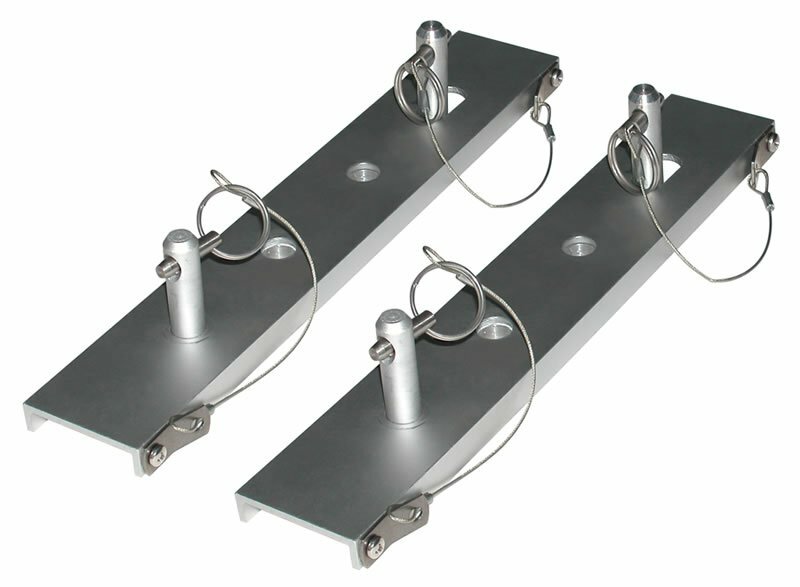 JIF Marine 7 Step Wide Step Anodized Aluminum Lifting Dock Ladders, Wide 4" Steps, Anodized Aluminum. DUE TO SIZE AND PACKING DIMENSIONS THIS PRODUCT DOES NOT QUALIFY FOR FREE SHIPPING. GROUND RATES APPLY. 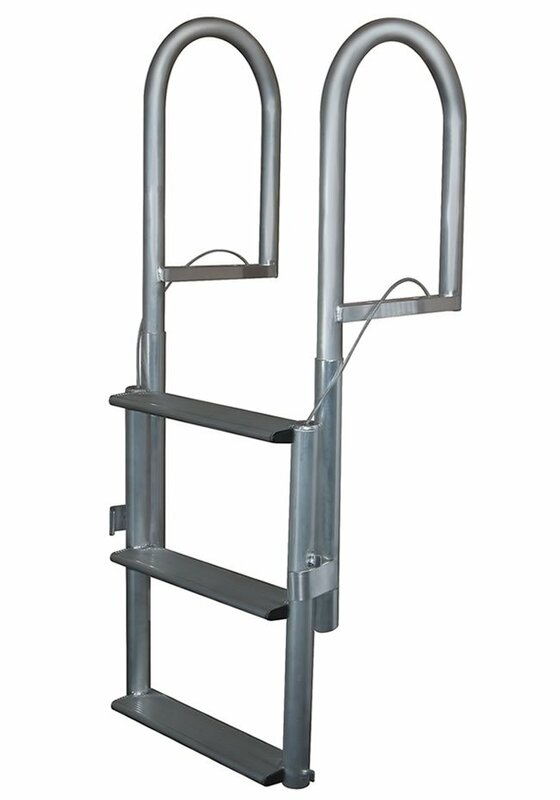 7 Step WIDE STEP Anodized Aluminum Lifting Dock Ladder. 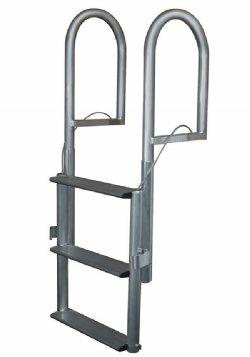 Ladder is retractable; ideal for easy upright storage which helps limit marine growth by not sitting in the water. Comments: Very well built. 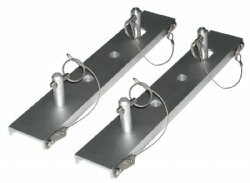 I am pleased with the product so far and can recommend it.